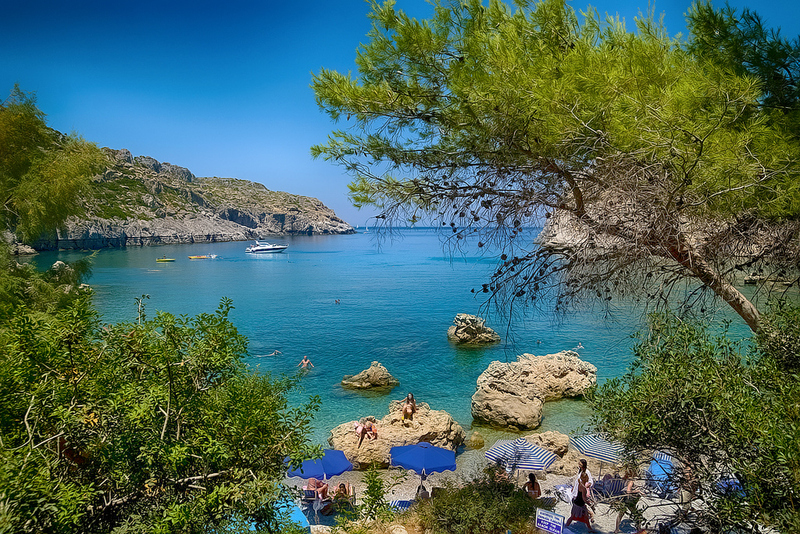 Agathi beach was until a few years ago one of the hidden treasures of Rhodes. 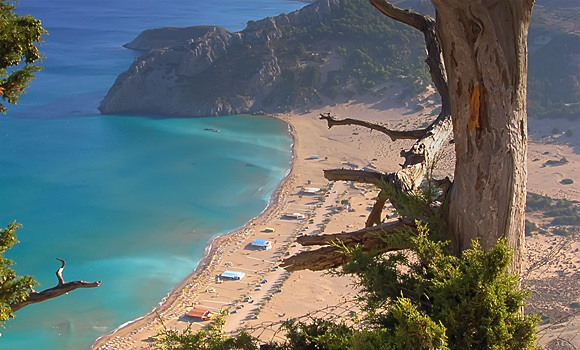 It is located on the east coast, 38 km from Rhodes, at a walking distance from resort of Haraki. To get to the beach you turn left on the road that guides from the junction down to Haraki, towards the hill with the imposing figure of Feraklos Castle. The pure golden sand is the main attraction here. The sea waters are crystal clear but can be a bit of a swell while the beach is smallish and can get crowded. 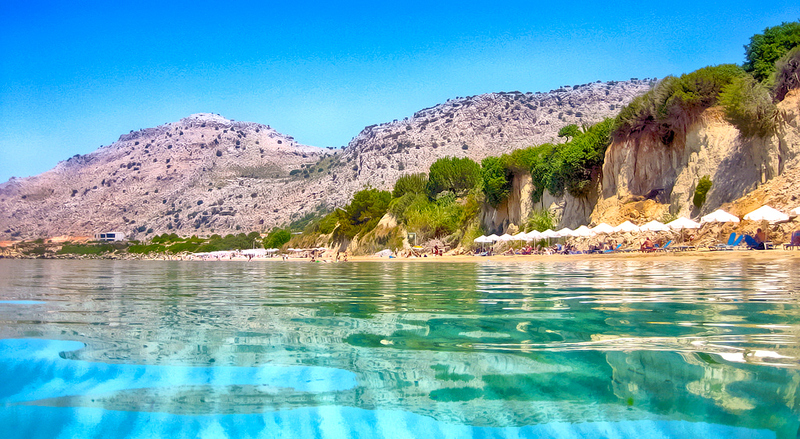 You will find a couple of small tavernas with good food, sun loungers and umbrellas for hire. At the northern end of the beach there is a cave, ideal to spend a night by the fire. Previous PostApril 2009: 30% increase on arrivals!